As part of its recommendations in form of a report, titled 'Women in Prisons', the Ministry of Women and Child Development on Sunday sought relaxation in provisions of the Code of Criminal Procedure (CrPC) to allow bail to the undertrial women inmates in jails, who have spent one-third of their maximum possible sentence in detention. The changes have been proposed to Section 436A of CrPC, which provides for release of an inmate on bail after half of the maximum sentence has been served. A separate accommodation for mothers in the postnatal stage, arrangement for women to visit their children, legal consultations conducted in confidentiality and the right to vote are some of the other recommendations made by ministry in its report. The report contains a list of over 134 recommendations for improving the lives of women under incarceration, looking at issues pertaining to pregnancy and childbirth within jails, their mental health, issues of legal aid, and of reintegration into society after they are released. The report will now be shared with the Ministry of Home Affairs so that it issues advisories to state officials for implementing the recommendations. 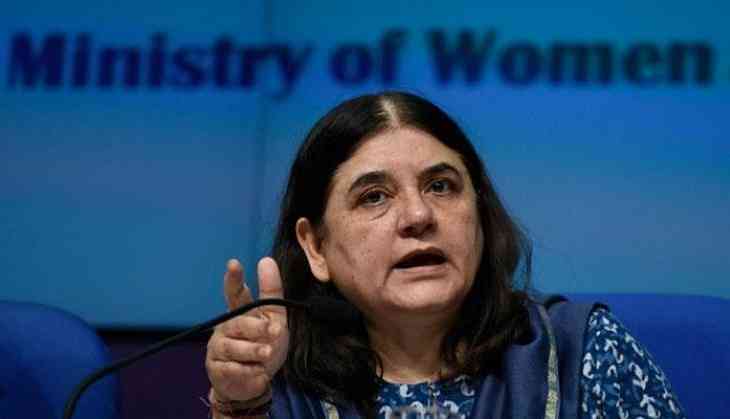 Speaking about the report, Minister for Women and Child Development Maneka Gandhi said that this initiative should change the way prison administration perceives women inmates. The report also recommends that a maximum time-frame may be decided for release of women prisoners after bail is granted but surety is not produced. Bail can be granted only after due scrutiny as provided under the law in such cases. As per most recent data from the end of 2015, there are 4,19,623 persons in jail in India, of which, 17,834 (about 4.3 percent) are women. Of these, 11,916 (66.8 percent) are undertrial prisoners. An analysis of prison statistics at five-year intervals reveals an increasing number of women prisoners - from 3.3 percent of all prisoners in 2000 to 4.3 percent in 2015. A majority of female inmates are in the age group of 30-50 years (50.5 percent), followed by 18-30 years (31.3 percent). Of the 1,401 prisons in India, 18 are exclusive for women, housing 2,985 female prisoners. A majority of women inmates are housed in women's enclosures of general prisons.